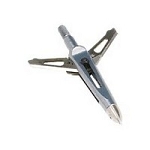 Home > Archery > Archery Accessories > Broadheads > Rage Chisel Tip SC 3 Blade 100 Gr. Rage Outdoors has combined the proven technology of its rear-deploying SlipCam broadheads with its new bone-busting chisel point to create the new Rage Chisel Tip broadheads. Once the Rage Chisel Tip blazes through the hide of any game animal, the razor-sharp steel blades deploy to cut a path of destruction, and the hardened stainless steel chisel point will bash through any bone that gets in its way. The Rage Chisel Tip is available in three versions. The 2-blade Rage Chisel Tip has a 2-inch cutting diameter and is available in both 100- and 125-grain weights. 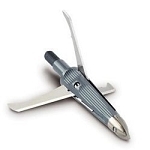 The 100-grain 3-blade has a 1.5-inch cutting diameter. “Customers talked, and Rage listened,” said Jon Syverson, vice-president of Sales and Marketing. 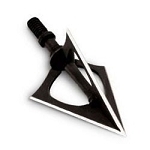 “There are bowhunters that really just prefer using a chisel tip broadhead. So we took the most popular mechanical broadhead in the world and added a specially designed Helix-Cut chisel point to the front of it. The results have been amazing. 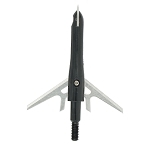 “We believe that this new broadhead will be the answer our customers have been waiting for,” concluded Syverson. 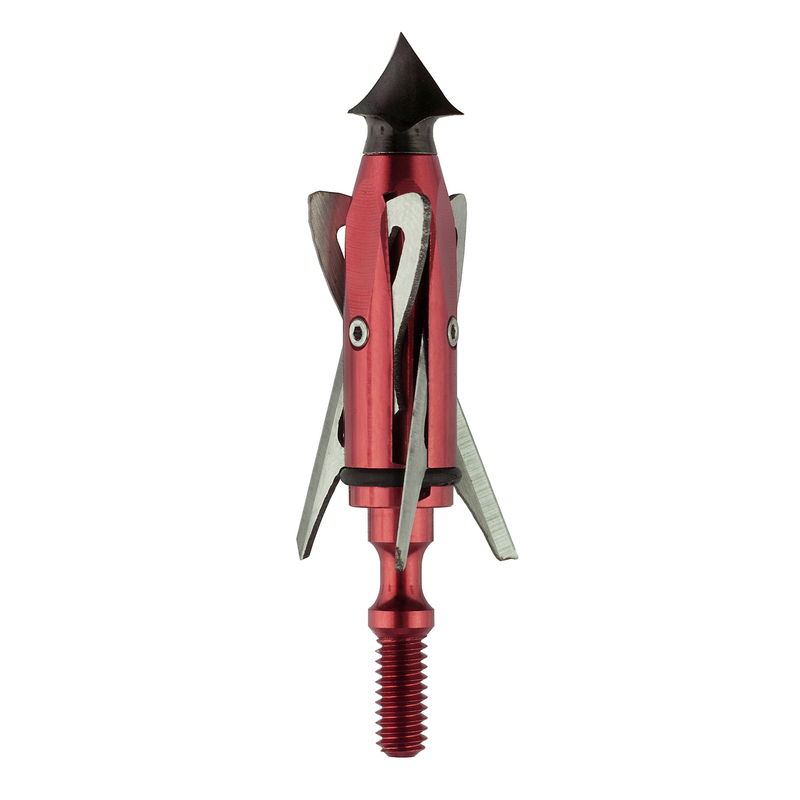 The new Rage Chisel Tip broadheads offer the ShockLock blade-retention system. This proprietary system allows the blades to lock in place by using an O-ring that acts as a shock absorber for the blades. They remain locked in place until the moment of impact. The new Rage Chisel Tip broadheads are easily recognizable by their black, anti-friction nickel-coated chisel points and red-anodized ferrules. They will be available at retailers nationwide this spring with a suggested retail price of $44.99 for a three pack with a practice head. 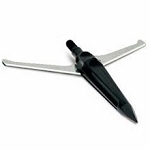 If you have been waiting for the perfect chisel-point broadhead, your wait is over! NAP Spitfire Maxx 125 Gr. NAP Spitfire Maxx 100 Gr. NAP Killzone MAXX 100 Gr. Rocky Mountain Warhead 100 Gr.